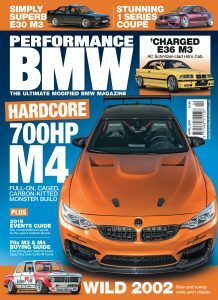 For anyone wanting a BMW M-division screamer with a little bit more oomph than standard, the BMW M4 has been given an extra bit of blow. Called the BMW M4 DTM Champion Edition, it was built to celebrate BMW’s recent victory in the German touring car series thanks to works driver, Marco Wittmann. Running the same water-injected, twin-turbo six as the BMW M4 GTS, this latest limited run from BMW’s skunkworks packs 500hp and 600Nm (443 ft lb) of torque – 50hp and almost 40 ft lb up on standard. This gives the car a 0-62mph time of 3.8 seconds and a top speed 10mph shy of 200, so very much up there in supercar territory. It’s not just pure grunt that enhances the performance of the DTM Champion Edition; the chassis has also had the once-over. Lighter 19 and 20-inch (front and rear respectively) star spoke design 666M alloys hide carbon-ceramic brakes for minimum un-sprung mass and maximum grip and stopping power. Three-way mechanically adjustable coil-over suspension can be altered by owners for both rebound and damping, allowing them to tune the car’s handling to their own preferences. Lightweight construction has also been employed across the DTM Champion Edition to further improve the way it drives. The bonnet, roof, rear diffuser and instrument support panel are all made of lightweight carbon fibre reinforced plastic. Furthermore, the double-flow sports exhaust isn’t just there for show; it’s made from lightweight titanium which saves kilos off of a steel setup. 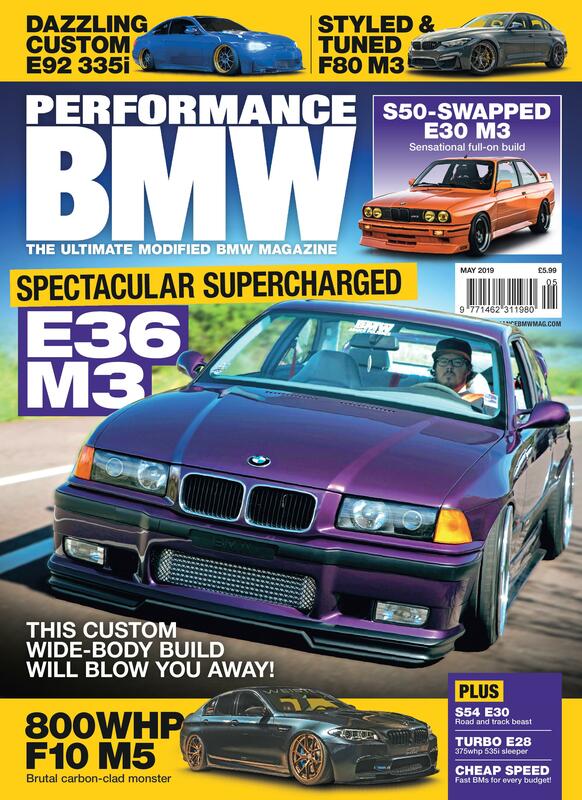 Inside there’s very much a focus on creating a race car that is liveable with day-day-to day. 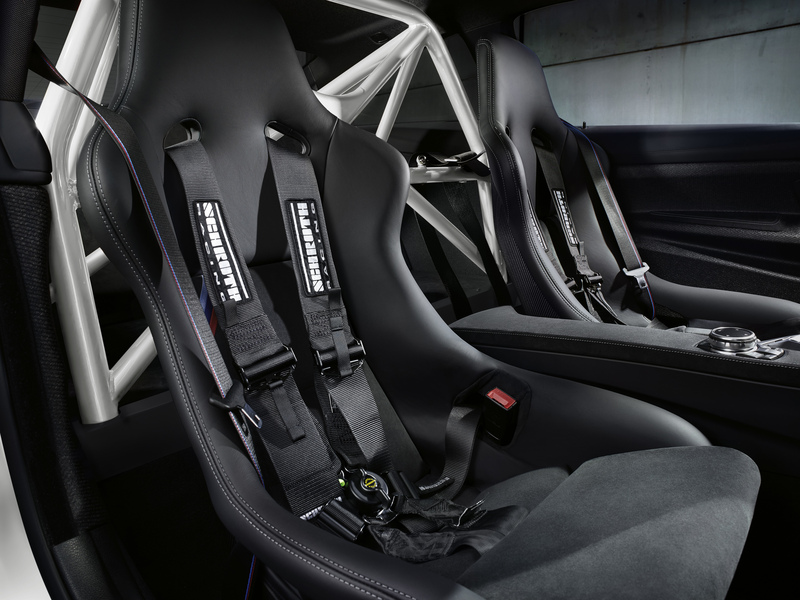 A strictly two-seat car, the driver and co-driver sit in M Carbon bucket seats covered in Alcantara/Leather Merino. The entire interior is lined with Alcantara, also used on the M Sports steering wheel featuring a grey “12 o’clock” marker. 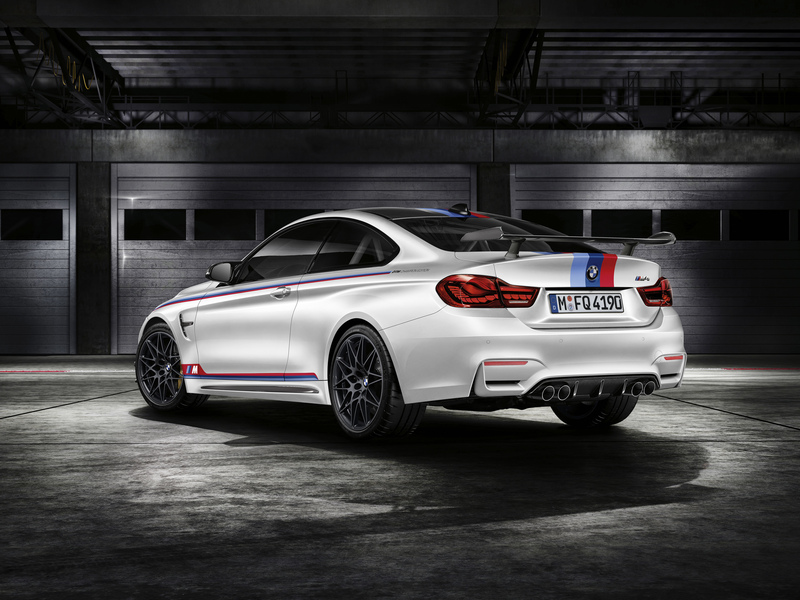 Behind the front bucket seats of the BMW M4 DTM Champion Edition, a white rollover bar replaces the rear seat system. Despite the rear scaffolding there are some creature comforts as you’d expect from a car that’s likely to cost a few more quid than the £120,500 M4 GTS. Features include the BMW Professional Navigation system, air conditioning, adaptive LED headlights with BMW Selective Beam (glare-free high beam assistant), OLED taillights, Park Distance Control (PDC) at the front and rear as well as automatically dimming interior and exterior mirrors. Prices are yet to be announced, but expect a few of these cropping up on the scene early next year.